Field-placement is the opportunity for students to integrate their coursework into a real-life practice situation. Students will have the opportunity to learn about local resources, network in the community and develop and hone clinical skills. 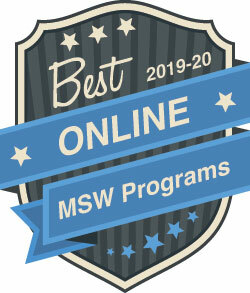 Traditional MSW students will complete two field placements/internships in their local community. (Each placement is 560 hours). Students admitted as advanced standing will complete just one field placement at the end of their academic course work. (This placement is 560 hours). Each field placement will occur over a period of 32 weeks with the student being at the placement for 18-20 hours per week. Students who are not employed may request to do a placement at 40 hours per week over a shorter period of 16 weeks (this is not an option for everyone and must be pre-approved by the program administration). You will be responsible to research, locate and initiate this site/placement, but will be supported in this process by a UNE field planner. You will begin the process of working with a UNE field planner four months before you enter either placement. The field planning process is set up to support you in your search, answer questions, and guide you in paperwork as well as the field process. It has set deadlines that must be met in order for the student to move into their field placement. The first placement will occur at the end of your first-year course work. Unlike your academic courses which allow you to be in any location, your field placement will require you to be on-site at the field placement agency for 18-20 hours per week for 32 weeks (all at one site). During the first-year field placement students engage in generalist social work. This means doing tasks such as: case management, program review, assessments, crisis intervention etc. (This is not a complete list). Many of our students have questions about how the field placement may impact their current employment and life. Most students do continue to work as they enter the field placement with some adjustments to their current schedule. Adding 20 hours of field to an already full schedule will require flexibility, time management and a lot of support. 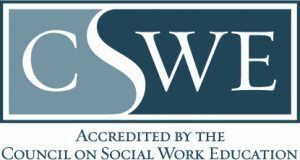 More questions about the MSW Field Placement? Contact your student support specialist to be connected to the right support resources!